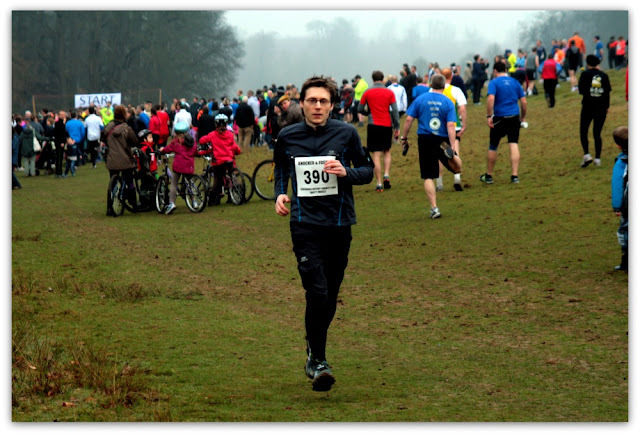 This was my first 10km race. Before I get into the race details I'd like to say a big thank you to my wife (who blogs here - A Lime Less Ordinary ), firstly for supporting me with my running (especially the training, which often has me out of bed before sunrise). 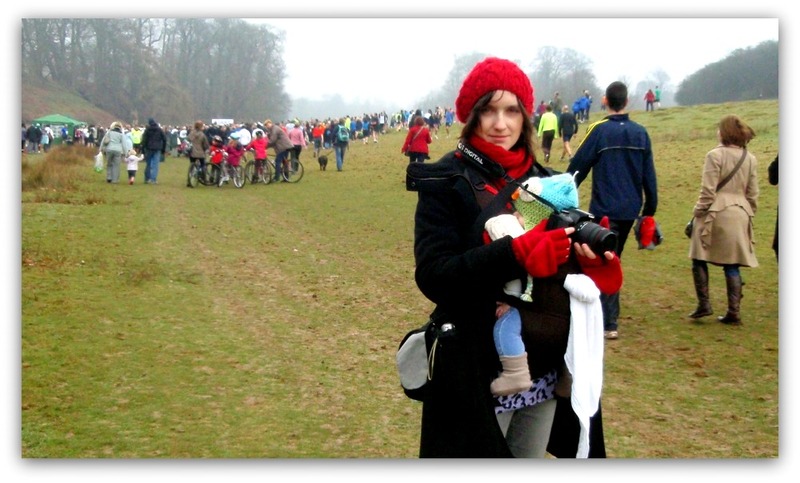 And secondly for taking lots of photos of the race. 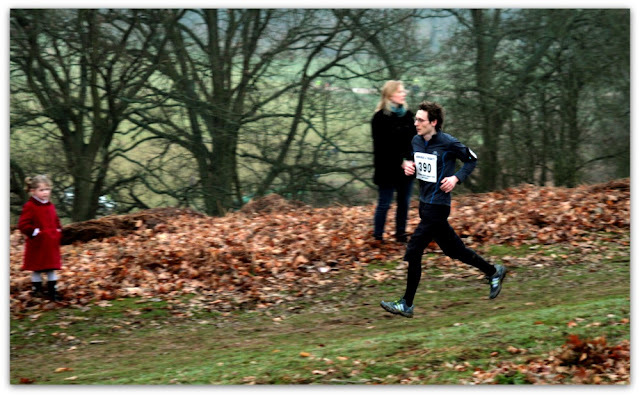 Firstly, the course, in Knole Park, was brilliant. It is a beautiful 1000 acre Deer Park, in Sevenoaks, Kent. We had some rain the night before which left parts of the course a little muddy, but overall it was fine. My wife heard someone complaining that a section of the course was too slippery, and therefore unsafe. 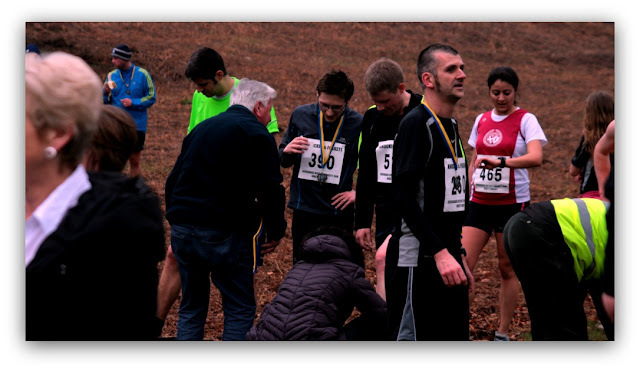 I don't really have the same opinion - as far as I'm concerned it was a park/trail race, that was the attraction. Anyway, the course was two laps of the same 5km loop with a little extra tail to accommodate the start/finish funnel.. I started from somewhere near the back of the pack - I should know not to by now. So, yet again, I got caught up with people running much slower than my intended pace. 1st km was at 5.45 per km pace, and the 2nd km was at 6.12 per km pace - I can't even run that slow when doing 'slow' training runs! The sheer numbers of people (505) made it virtually impossible to pass smoothly so I spent a good deal of time on the verges running through the higher grass! Something unexpected happened at around 4km and 8.5km - My right shoelace came undone. Both times I had to swerve off the path to tie it up again. This may have had something to do with the timing chip, which was attached to my right shoelace, but more likely was my shoelace-tying style - in the future I will always use double knots. 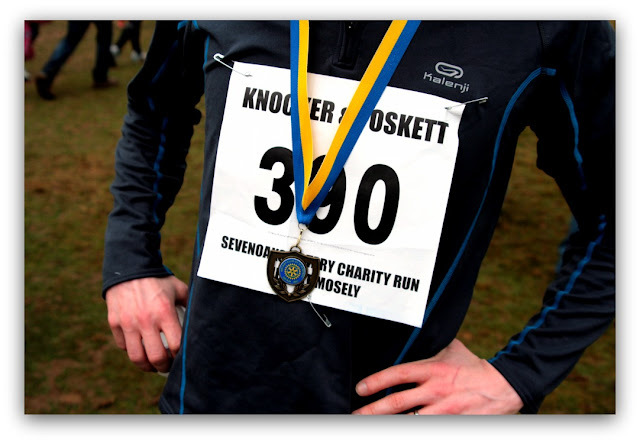 I ran the first 5km in 26:14 - Well off my intended pace. There were two factors in the slow time. First was getting caught up for the first 2km with the slower runners. Second was the fact that the course has undulations, plus a very steep incline that has to be negotiated twice. The second 5km I ran in 24:19 (if my maths are correct) - Much closer to my intended pace, but I hadn't taken into account the undulations when I was thinking about my target time. So, according to my GPS timings, my total time was 50:33. I had been hoping for somewhere around 45 minutes, but considering the undulations and the slow start I'm pretty happy with it. On a flat, tarmac course I might have been around the target time. All good lessons for the future! A big positive for me: When I compare my split times for each km section (1st and 6th / 2nd and 7th, and so on) my second lap was faster than the first on each of the five pairs of timings. My GPS data is on RunningAhead, as always!